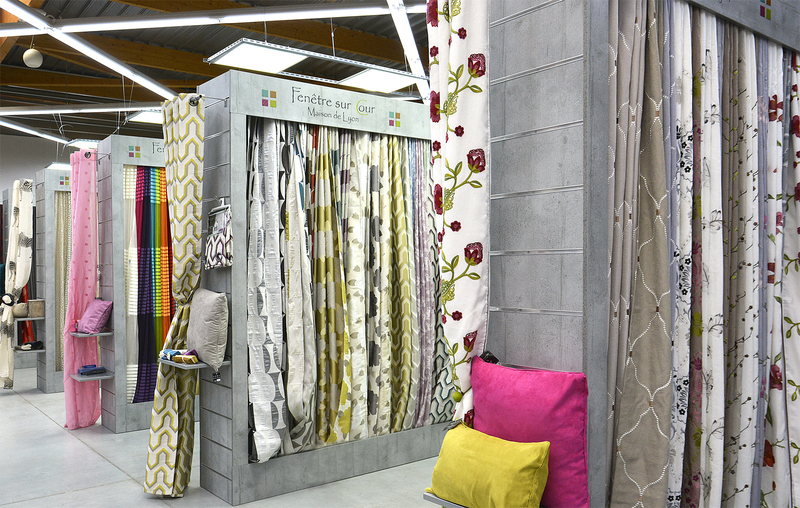 Our Company « Fenêtre sur Cour » is specialized in producing and distributing ready-made curtains. Our buildings have a total surface of 12 000m² and ensure permanent stocks in order to meet our customers’ requirements. Our 900m² showroom welcomes you by appointment. Based in the Ain French department, we are at the crossroads of the big trade distribution roads. 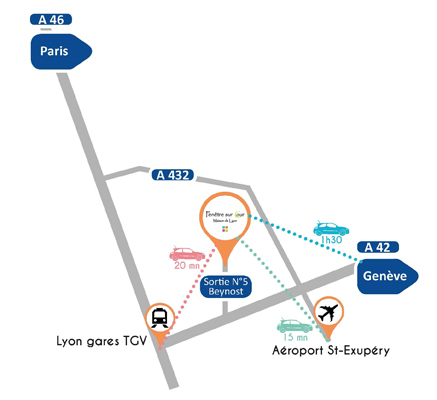 Near Lyon, served by the TGV, the Motorway and the Lyon Saint Exupery Airport, our company as well as our showroom are easily accessible. In order to always serve you better, we endeavor to keep stock for all our items. Plain and fantasy ribbons, elastic bands, cords, straps, self-adhesive hook and loop, Jacquard trimmings, braids, laces, embroideries, etc. Our company is open from Monday to Friday, from 9:00 to 12:00 and from 13:30 to 17:30. Our show room is open by appointment on Mondays, Wednesdays and Fridays, from 9:00 to 12:00 and from 13:30 to 17:00.